Attracto WP v2.7 is live now. Scroll down for details. 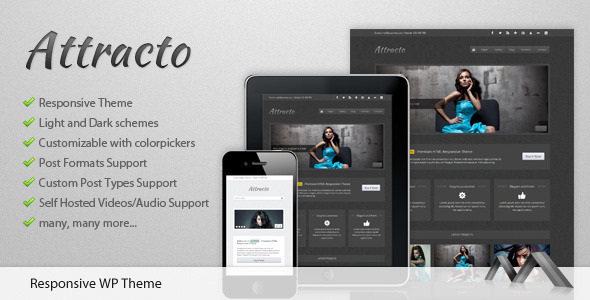 Attracto WP is elegant Responsive Theme. By default You have two styles to choose: light and dark. Additionally You can choose from 50 prepared backgrounds. Easy to use unbranded options panel make Your life easier with color changes, drag&drop module for homepage, backgroudnd setting, sliders, features and many, many more. Now with couple clicks Your theme can look so much different than the original. 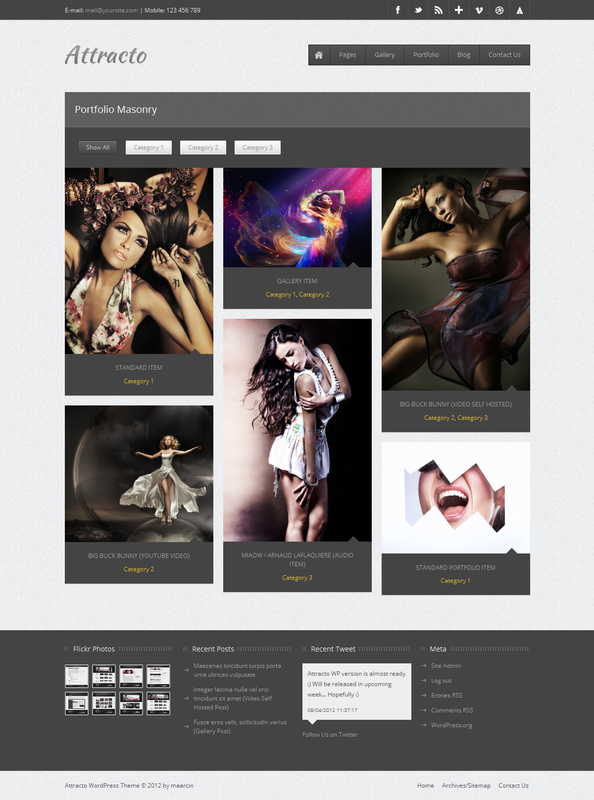 Theme can be used as portfolio, photography or, with some small changes, can be easily adapted for Your business site. WP-PageNavi plugin is required for this theme!